Start off your visit on the 19th (Wed): explore the wealth of natural beauty at Ekenas Archipelago National Park. Get ready for a full day of sightseeing on the 20th (Thu): explore the ancient world of Raseborg Castle, then see the interesting displays at Ekenas Museum, and then make a trip to Fiskars Village. Start your trip to Fiskars by creating a personalized itinerary on Inspirock. Helsinki to Fiskars is an approximately 1.5-hour car ride. 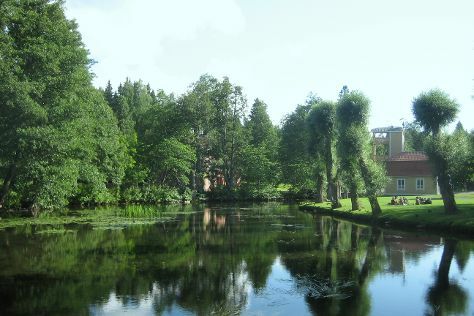 In June in Fiskars, expect temperatures between 22°C during the day and 11°C at night. Finish up your sightseeing early on the 20th (Thu) so you can travel to Nokia. Nokia is a town and a municipality on the banks of the Nokianvirta River (Kokemäenjoki) in the region of Pirkanmaa, some 15km west of Tampere. Discover out-of-the-way places like Villa Mairea and The Old Town Hall Museum. Explore Nokia's surroundings by going to Rauma (Old Rauma & Kylmapihlaja Lighthouse Island), Stone Castle of Pirunvuori (in Sastamala) and Yyteri Beach (in Pori). Spend the 24th (Mon) exploring nature at Seitsemisen Kansallispuisto. Next up on the itinerary: steep yourself in history at Jokioinen Museum Railway, don't miss a visit to Up and Under - Land Art, and take in the architecture and atmosphere at Pyhan Birgitan kirkko. To see other places to visit, ratings, reviews, and more tourist information, read our Nokia online driving holiday planner . Getting from Fiskars to Nokia by car takes about 3 hours. 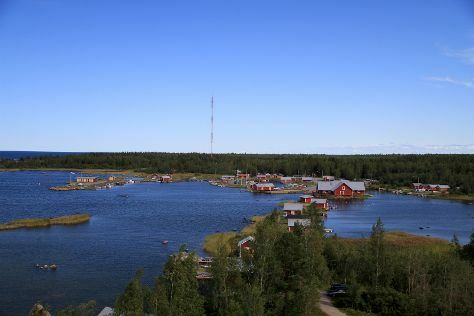 In June, daily temperatures in Nokia can reach 20°C, while at night they dip to 9°C. Finish your sightseeing early on the 24th (Mon) so you can travel to Vaasa. Kick off your visit on the 25th (Tue): cool off at Tropiclandia, then take in the architecture and atmosphere at Mustasaaren kirkko, then take in the pleasant sights at Saltkaret, and finally take in the views from Raippaluodon Silta. Get ready for a full day of sightseeing on the 26th (Wed): step off the mainland to explore Kvarken Archipelago World Heritage Site. For traveler tips, maps, ratings, and other tourist information, you can read our Vaasa tour itinerary planner . You can drive from Nokia to Vaasa in 3.5 hours. 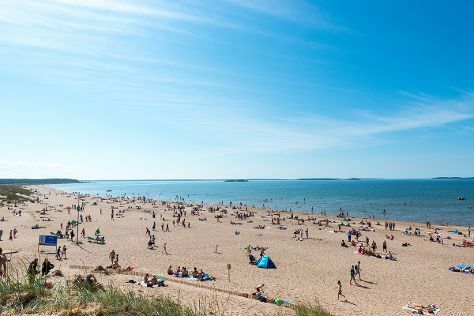 In June in Vaasa, expect temperatures between 19°C during the day and 9°C at night. Wrap up your sightseeing on the 26th (Wed) to allow time to travel back home.